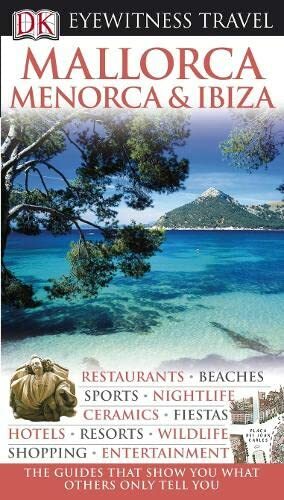 This new expanded edition in the award-winning Eyewitness Travel Guide series shows the Balearic Islands at their best, from the popular beaches of Mallorca and Ibiza to the peace and quiet of Formentera. Visit the towns of Palma, Mao and Ibiza with the help of 3-D aerial maps and cutaways of historic buildings. With superb colour photographs, detailed maps and illustrations, the Eyewitness Travel Guide lists the best sights, beaches and festivals town by town. Full-colour maps, city plans, thematic tours and walks enable you to explore the islands beautiful countryside and national parks in depth and specially chosen restaurants, advice on local dishes, produce, and hotels will ensure you have a perfect holiday.